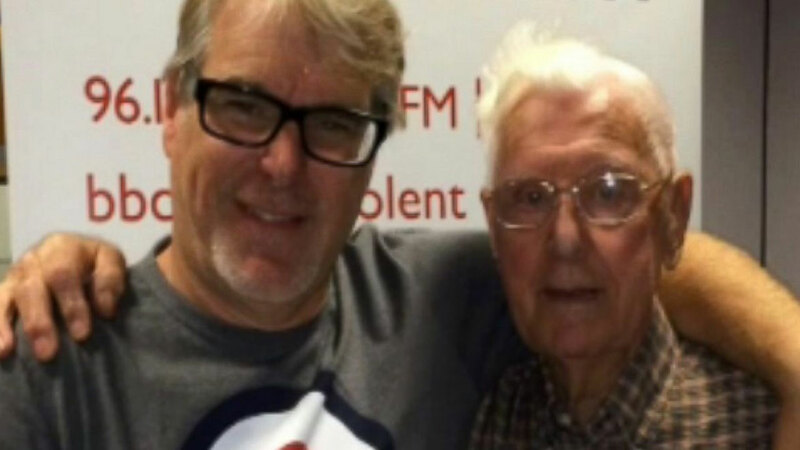 BBC Radio Solent host Alex Dyke invited 95-year-old listener Bill Palmer for coffee on Oct. 21, 2015 after Palmer called in explaining how he was lonely. SOUTHAMPTON, United Kingdom -- A lonely 95-year-old listener of "BBC Radio Solent" has recently "touched the hearts of thousands of listeners," according to the show's host. ABC News reports that the listener, Bill Palmer of Southampton, U.K., called Alex Dyke's show Wednesday morning explaining how "every day is hell" and how he feels "so alone" because his wife -- whom he had married just last year at age 94 -- recently moved into a nursing home due to her dementia and colitis. The call was made during Dyke's "Love -- later in life" phone-in. Palmer told Dyke that he had actually been friends with his wife Sheila, 85, for over 30 years before they finally got married on June 2, 2014. Read the full story at ABCNews.com. Copyright © 2019 ABC News Internet Ventures.